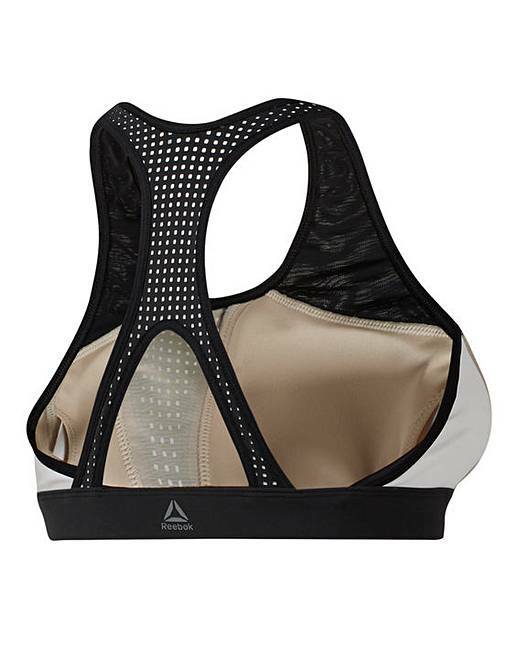 Layered under your top or paired on its own with leggings, this Reebok hero racer sports bra brings bold style to your workout. The sweat-wicking design and power mesh details keep you cool as your cardio session ramps up. Removable pads let you customize the shape for your needs.